A flower – speckled meadow is a beautiful sight and I’m often asked to include one in garden designs. I’m always happy to oblige, for a number of reasons. Anything that provides food and shelter for bees, butterflies and the other little buzzing creatures who are increasingly under threat is a good thing as far as I’m concerned. I can also understand the longing so many people have for a little patch of wildness where they can feel close to nature and perhaps relive memories of carefree summer holidays when time outdoors seemed endless. From a purely practical point of view, a meadow can be a great design solution in extensive grounds, reducing the need for regular mowing and allowing you more time to enjoy your garden in other ways. With clever garden design, you can include a meadow as an integral feature in lots of ways. A formal lawn closer to the house meeting a meadow further out, for instance, giving you the best of both worlds. You can keep a path mown through the long grass and wildflowers with perhaps a seat at the end. The flowering season can be extended by adding spring flowering bulbs and allowing them to naturalise in the grass. It’s worth seeking advice if a meadow is on your wish list in order to make it work well in your particular space. You need to know when and how to mow your meadow as well as the best varieties of flowers for your soil. A common mistake is to attempt a meadow on soil that’s too rich, in which case the grasses will flourish at the expense of the wildflowers, who thrive best on poorer soil. 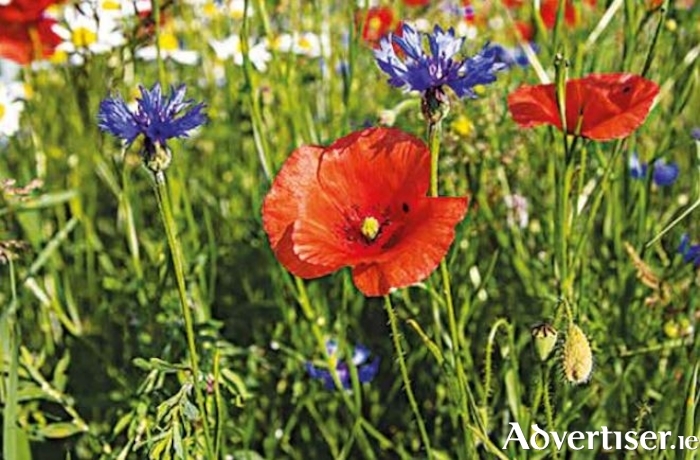 With good planning though, you can provide a wonderful habitat for wildlife and a glorious carpet of flowers for yourself, from the earliest of spring bulbs to the bright poppies and cornflowers of late summer.